Together, the experiments add to growing evidence that some of our assumptions about aging may be outdated and we might have more control over the process than we think. Aging often seems inexorable and unvarying, and, in chronological terms, it is. The years mount at the same pace for each of us. But our bodies’ responses to the passage of time can differ. While most people become frail, a few remain spry. These differences recently prompted a group of British scientists to wonder whether our beliefs about what is normal and inevitable with physical aging might be limited or incorrect, and in particular, whether we might be ignoring the role of exercise. Exercise among middle-aged and older adults in the Western world is rare. By most estimates, only about 10 percent of people past the age of 65 work out regularly. The older cyclists’ immune systems were not impervious to aging, of course. Many of their existing T cells showed signs of So, our expectations about what is normal during aging are based on how growing older affects sedentary people. In most people, muscle health and immune response worsen after we arrive at middle age, with the effects accelerating decade by decade. But there had been hints in the first study’s data that the cyclists might be unusual in these regards. So for one of the new studies, the researchers turned to muscle tissue that already had been biopsied from the legs of 90 of the riders. They wanted to compare various markers of muscle health and function across the riders’ age span. If the muscles of riders in their 70s resembled those of riders in their 50s, the scientists reasoned, then their physical activity most likely had altered and slowed the supposedly “normal” arc of muscular decline. The two sets of scientists then dove into their data and both concluded that older cyclists are not like most of the rest of us. They are healthier. They are, biologically, younger. 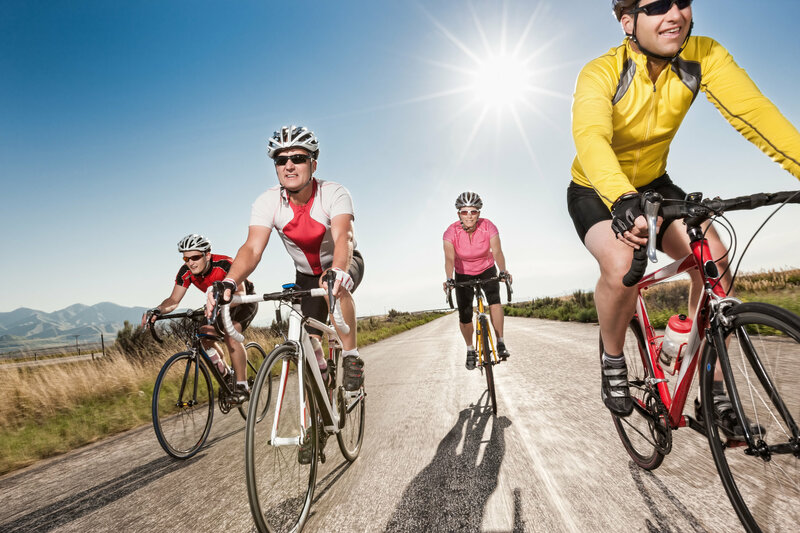 Their muscles generally retained their size, fiber composition and other markers of good health across the decades, with those riders who covered the most mileage each month displaying the healthiest muscles, whatever their age. The impacts on riders’ immune system also were marked. In the older sedentary people, the output of new T cells from the thymus glands was low. The inactive older peoples’ thymus glands also were atrophied, compared to those of the younger group. The aging cyclists, on the other hand, had almost as many new T cells in their blood as did the young people. Those who exercised also showed high levels of other immune cells that help to prevent autoimmune reactions and of a hormone that protects the thymus against shrinkage.